We implemented a proactive plan to increase awareness for the national brand, obtaining over 250 million media impressions in the first six months alone. We were brought on as the agency on record for Paper Source, a national retail brand, in March 2017. Knowing there are a lot of angles when it comes to a national retail chain, our first step was to immediately begin pitching top Paper Source items for inclusion in holiday gift guides. 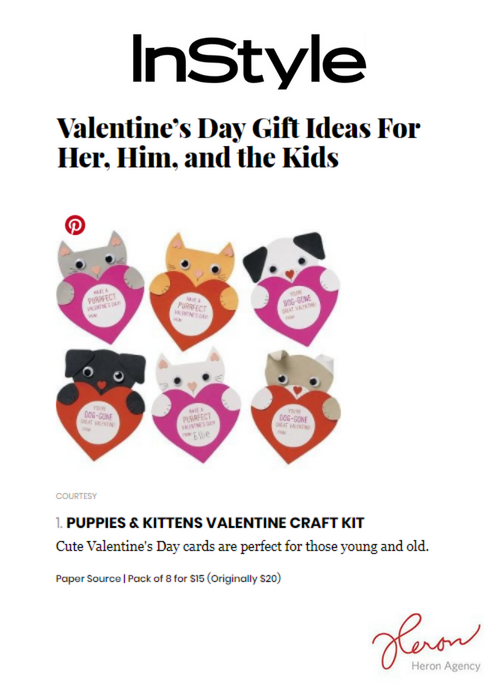 We also planned to position members of the Paper Source team as experts in retail, DIY trends, décor and gifting. 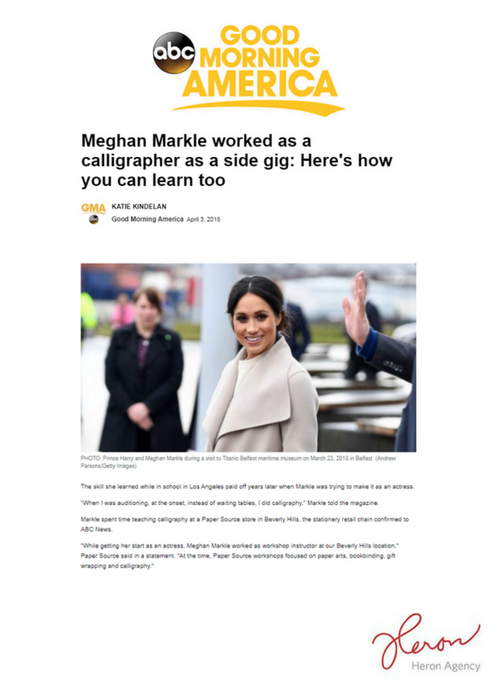 In March 2018, Heron Agency created a comprehensive campaign surrounding Meghan Markle and her employment at Paper Source. Through our exclusive announcement in PEOPLE MAGAZINE, we were able to secure additional features in other national consumer publications and news outlets including GOOD MORNING AMERICA, MARIE CLAIRE, TRAVEL + LEISURE, REFINERY29, INSTYLE, WOMAN’S DAY, and ELITE DAILY. Within the first three days of the announcement, we secured over 189,267,508 media impressions for this campaign. Aside from the general pitching of Meghan Markle’s affiliation with Paper Source, we worked to create activations within Paper Source stores to keep the brand in the trending conversation surrounding the Royal Wedding. These activations included a DIY fascinator making class that took place on the days leading up to the Royal Wedding, as well as on the actual date, and calligraphy classes on invitations, in homage to Markle’s hidden talent. Through this, we were also able to secure local broadcast TV segments with Chicago’s NBC 5, ABC 7, and FOX 32 affiliates to further remain a part of the trending story.